Switcharoo!!! A fun way to practice new skills or review old skills. It is a game of knowledge and luck!!! Switcharoo!!! 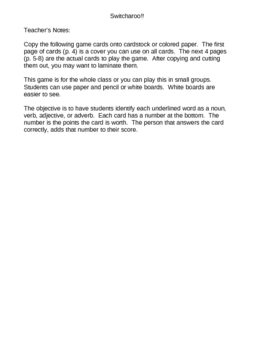 can be played in small groups (easiest) or whole-class. 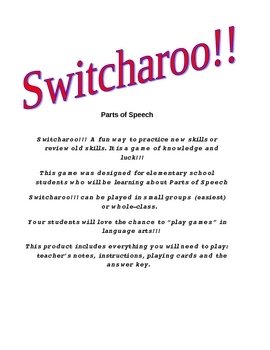 Your students will love the chance to "play games" in language arts!!! This product includes everything you will need to play: teacher's notes, instructions, playing cards and the answer key.